We are a leading Manufacturer of heel cushion gel, plain insole gel, ladies heel cushion gel, exercise gel ball hard, ball soft exercise gel and arch support from Rohtak, India. With an aim to stand tall on the expectations of our esteemed clients, we are presenting Heel Cushion Gel. Offered cushion gel is sternly checked under the guidance of our skilled quality managers. The wedge-shaped heel of this cushion gel reduces the strain on Achilles tendon and corrects the body alignment by offering extra stability to the heel. Offered cushion gel helps in relieving pressure and pain in the most sensitive area of the plantar fascia. By keeping track of the latest market developments and needs of our esteemed clients, we are engaged in offering Plain Insole Gel. This plain insole reduces the load on the feet, knees, and spine. 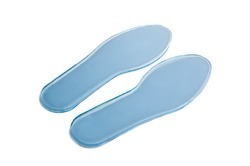 Offered plain insole evens the pressure distribution of the body on the feet. By our deft professionals, this plain insole is designed using a modern machine in compliance with the set quality norms. 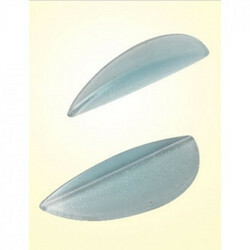 Our competency lies in offering our clients an excellent quality range of Ladies Heel Cushion Gel. 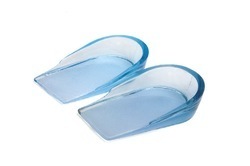 This heel cushion gel is designed to offer soft cushioning to the foot heel. Gel at the base of calcareous relieves pain and distributes body pressure. Our offered heel cushion gel is highly treasured for its quality features. To meet needs of clients, this heel cushion gel is available in numerous specifications. We are offering Exercise Gel Ball Hard to our client. Exercising Gel Ball Hard provides strength and endurance to the hand muscles. A bit harder than the Soft Gel Ball, it is suitable for sportspersons and people with strong palms.